In India about 15 000 farmers take their lives every year because they cannot get out of debt from the suppliers for seeds and fertilizers. Our partner “CBM Bethel Hospital” (it’s a Baptist hospital) wanted to do something against it and started the fighting hunger program in Vuyyuru in 2012. 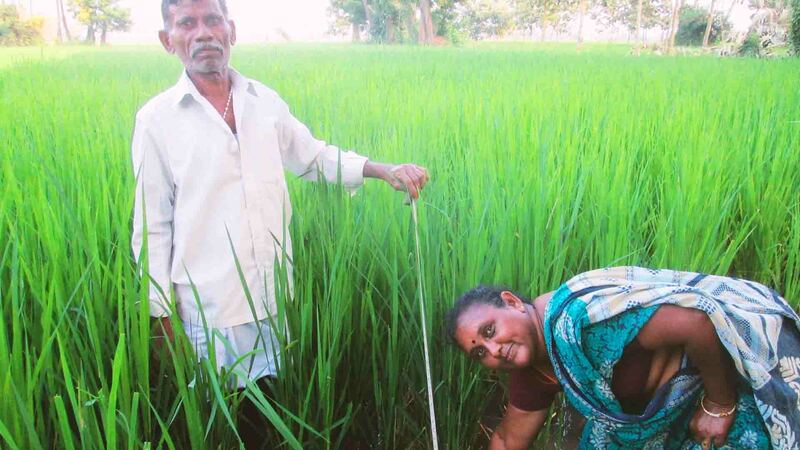 540 female farmers from different villages were trained by agricultural engineers so they wouldn’t use any more pesticides or artificial fertilizers but instead organic fertilizers. They were also trained in growing new products, and in marketing their crop. They were taught to use the small properties by their houses as “kitchen gardens. 450 female farmers are still at it after 5 years and are able to show great organic crop of rice, millet, lentils, and ginger. These are not only healthy but also popular on the market. 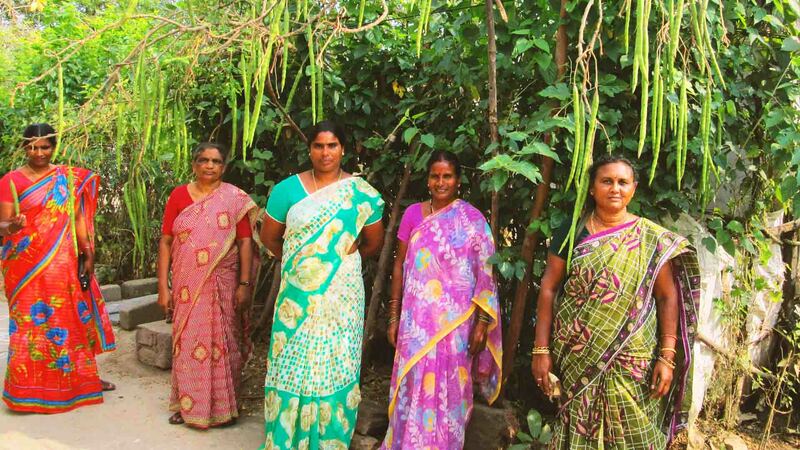 These farmers are also having a bigger income than before. 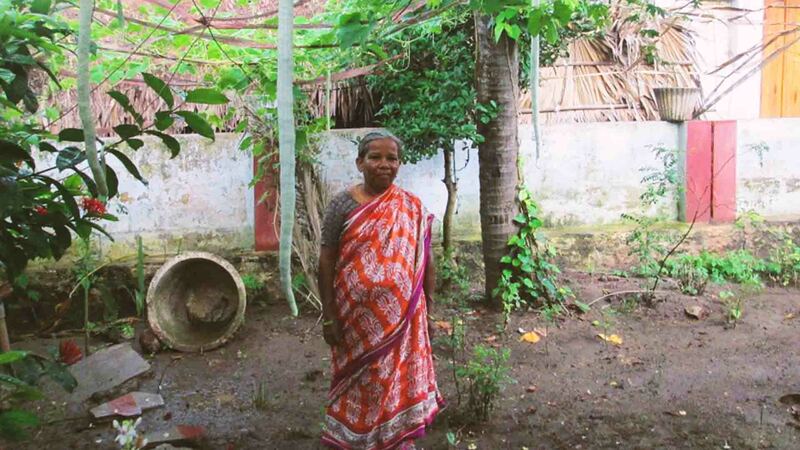 Due to the training more than 80% of the women are now using their kitchen garden to grow pumpkins, cucumbers, tomatoes, egg plants, turmeric, beans, papayas, and many more things. This way they can care for themselves and they have a balanced nutrition on top of that. They can clearly see in these villages how diseases have gone down and that the children are getting enough vitamins and nutrients. The average net income of a family that sells their crop is about 27 000 Rupees a month (about 375 Euros/400 US Dollars). With this money they are doing well. A few years ago 18 villages started a cooperative. 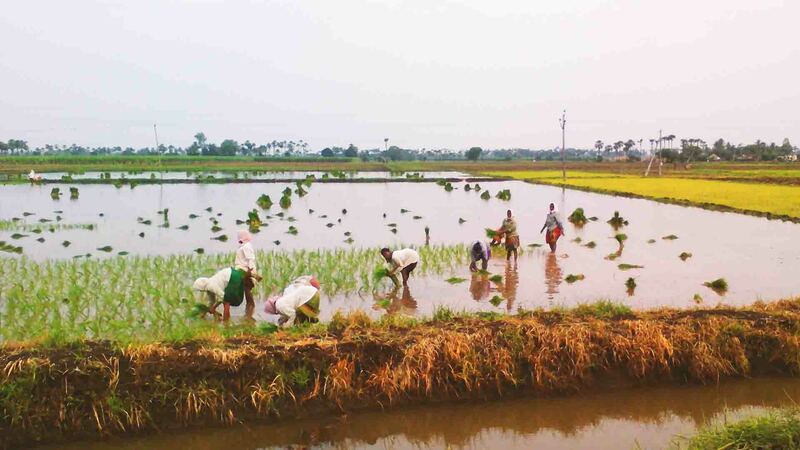 Since then the farmer families have been paying a monthly contribution of 100 Rupees each into a shared account. With this money they are able to give little loans to poor families for example when they need medical treatment or school materials. They have saved about 1 million Rupees so far (about 13 800 Euros/16 000 US Dollars). This is a project that helps many people that are in debt, and it fights hunger as well as insures a long lasting and healthy nutrition and a steady income.